Dudleya virens hassei is an island endemic from the cliffs of Catalina Island where the native population is endangered. The Catalina Island Live Forever grows in cracks between the rocks and even in the gaps between terracotta roof tiles on the islands older buildings. This planting is planted in the gap between dry-laid bricks with an east exposure. The foliage color of Dudleya hassei varies from straight gray to red at the tips of the succulent leaves with more sun and drought stress. Dudleya hassei is hardy into at least the high teens F° where it has prospered for many years in a large container in my garden. Note the yellow flowers. They are idicative of the species. 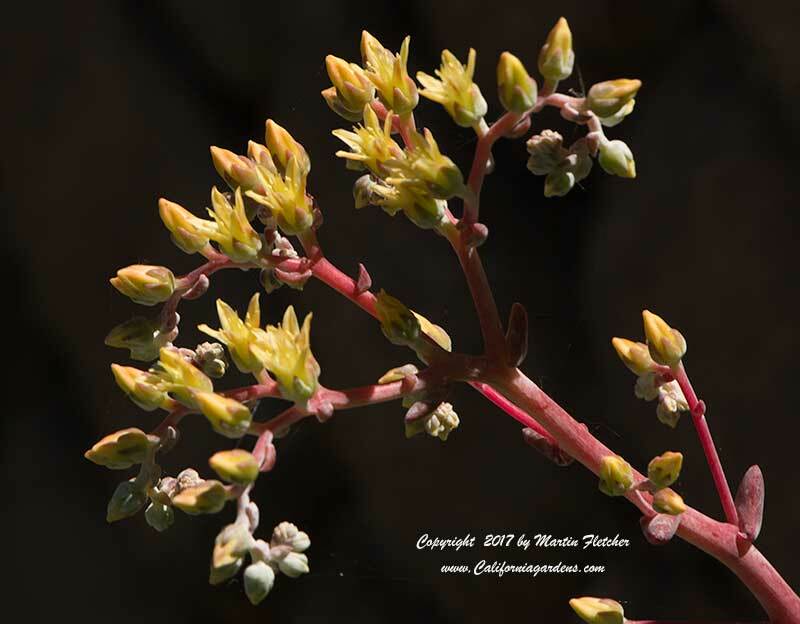 Flowers of Dudleya virens hassei - Catalina Island Live Forever. High resolution photos are part of our garden image collection. 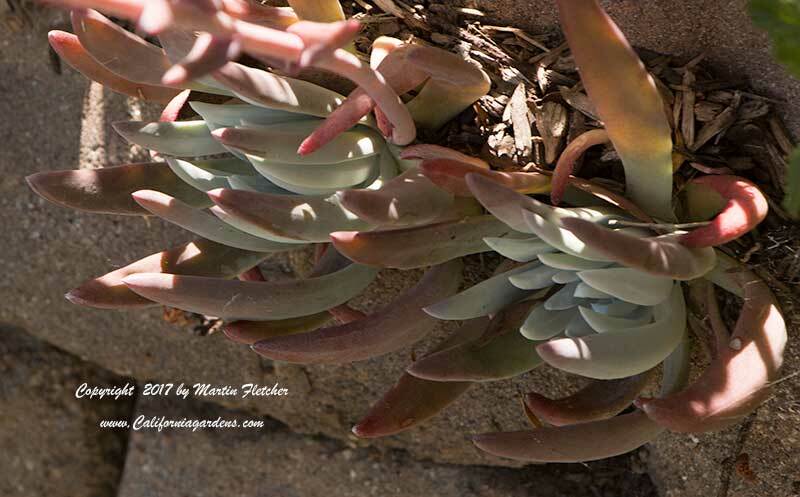 Wall planting of Dudleya virens hassei - Catalina Island Live Forever. High resolution photos are part of our garden image collection.